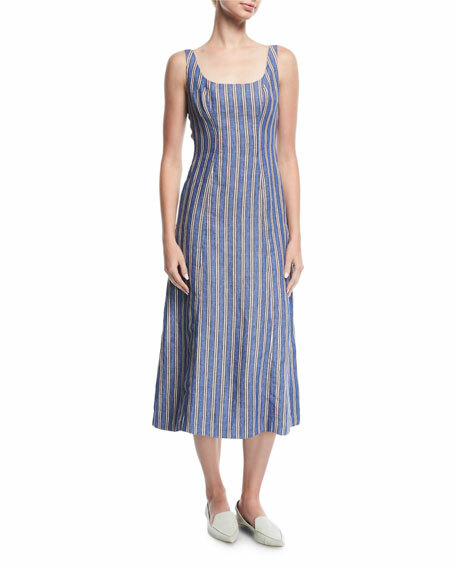 Gabriela Hearst striped midi dress. 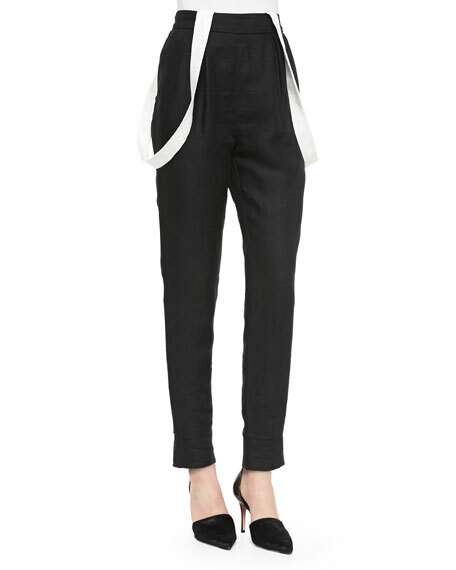 Scoop neckline; open back with ties. For in-store inquiries, use sku #2352619. 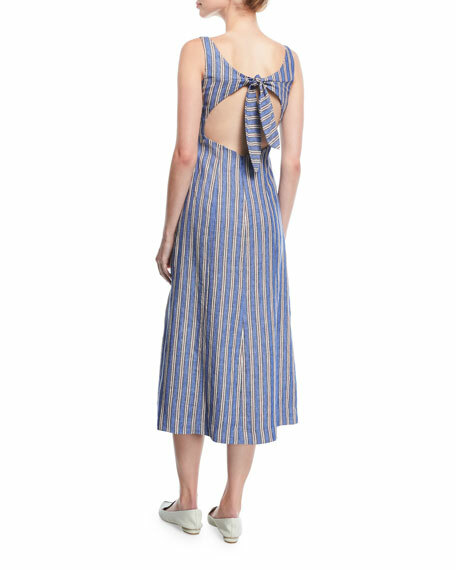 Akris organza ribbon dress with striped effect. Deep V neckline. Sleeveless. Fitted through bodice. Pleated, A-line skirt. Hidden back zip. Midi length. Nylon/cotton. Lining, silk. Imported of Italian materials. 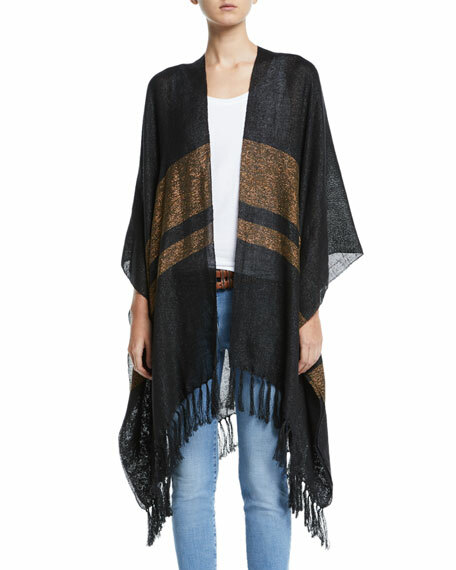 Brunello Cucinelli poncho in lightweight, gauzy weave with metallic stripe. Approx. 36"L down center back. Open front. Knotted fringe. Linen/polyester/metallic/nylon. Made in Italy. 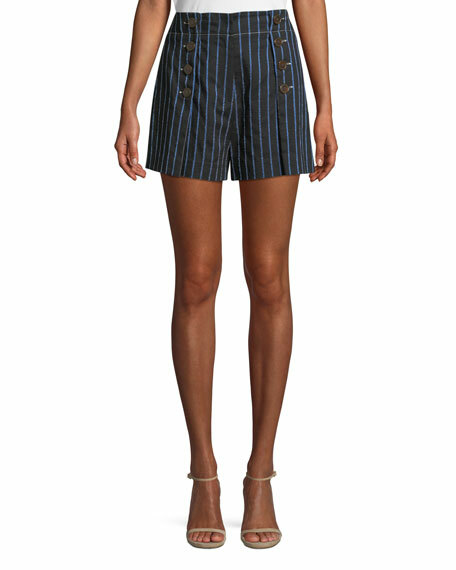 Derek Lam 10 Crosby striped shorts with button detail. Mid-rise; flat front. Back besom pocket. Slim fit. Mini length. Cotton/linen/spandex/acetate/nylon. Lining, polyester. Imported of Italian materials.